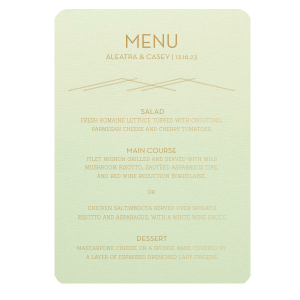 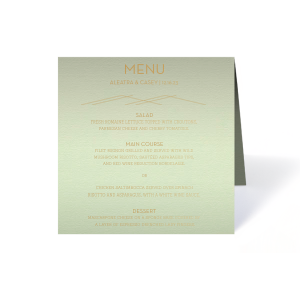 The ever-popular Poptone Mint Classic Menu with Satin 18 Kt. 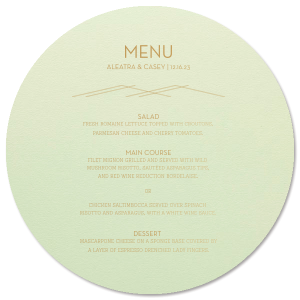 Gold Foil has a Mountain Flourish graphic and is the perfect combination for your Industrial Modern theme and will look fabulous with your unique touch. Your guests will agree!